President Trump doesn’t even have his entire Cabinet confirmed. Nonetheless, that doesn’t stop us from this week’s trivia question: What Cabinet member resigned the earliest in his or her time in the job? Last week’s trivia question was: What presidential press secretary served the shortest time in the job? The answer: Gerald terHorst. A widely respected reporter for the Detroit News, terHorst became the press secretary to new President Gerald Ford, an old friend, on August 9 1974. But he resigned one month later — on September 8th — in protest of Ford’s decision to grant a pardon to former President Richard Nixon. The randomly selected winner is Don Gomes of Torrey, Utah. 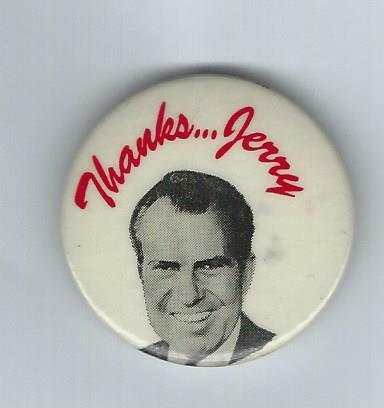 Don wins the coveted Political Junkie button.